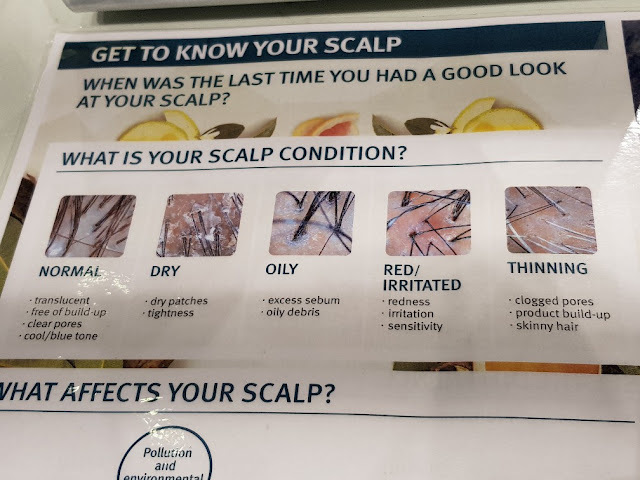 I have a problem... that was all about losing hair... and oh it was just so stressful which made it ironic and even worse since everyone knows stress causes even more hair loss..
We all suffer from hair everyday when we wash our hair, comb our hair etc.. and well they say it’s normal to lose hair about 100 hair(s) a day. We all find hair loss demoralizing... and the reasons for hair loss range from the simple and temporary—a vitamin deficiency—to the more complex, like an underlying health condition. Physical stress —surgery, a car accident, or a severe illness, even the flu—can also cause temporary hair loss. Emotional stress also cause hair loss, for instance, in the case of divorce, after the death of a loved one, or while caring for an aging parent... as well as too much of these vitamins or too little of that vitamins... anaemia and even err... weight loss!!! 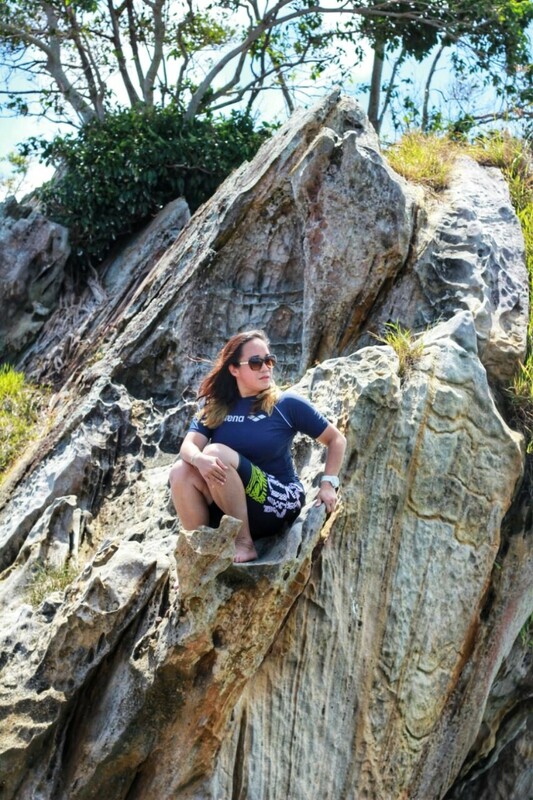 Damn!!! 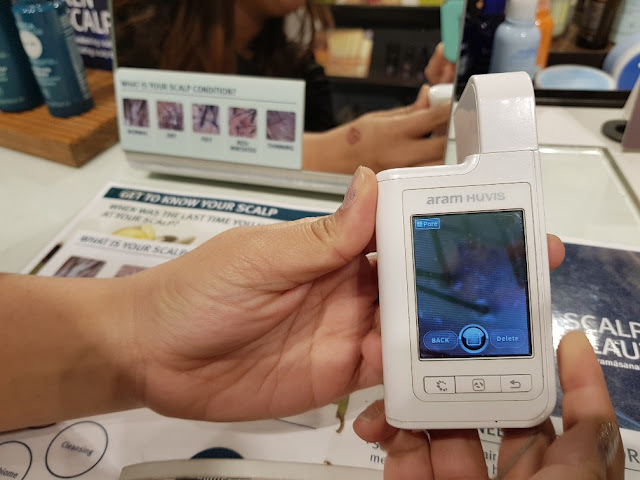 And I am trying my bestest to lose weight but does it mean I have to lose my hair too???!!! 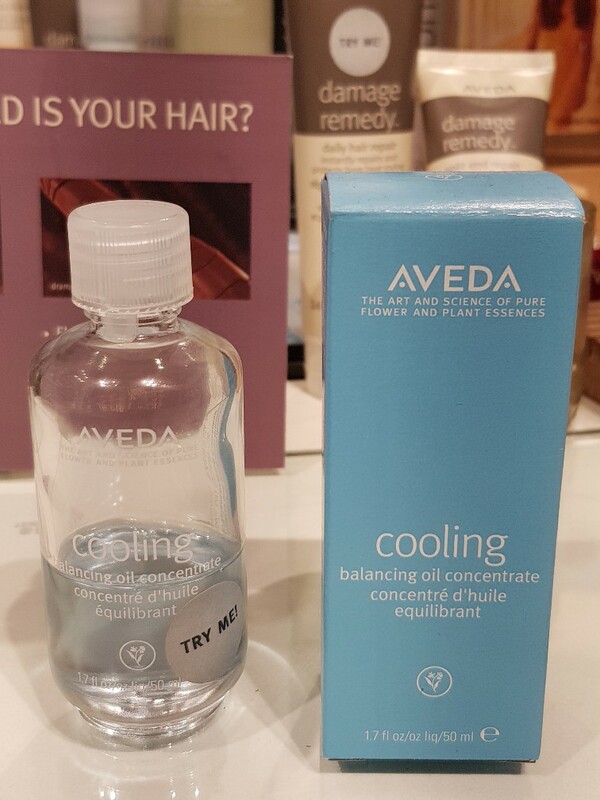 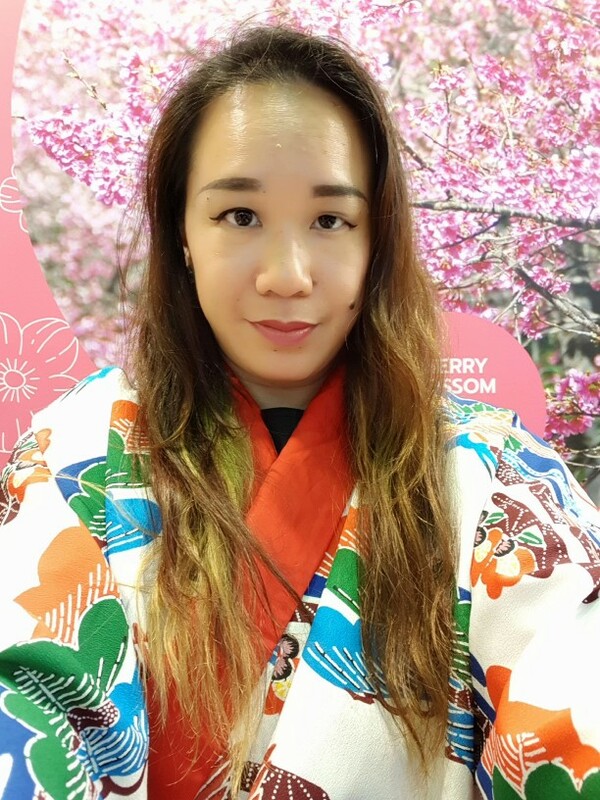 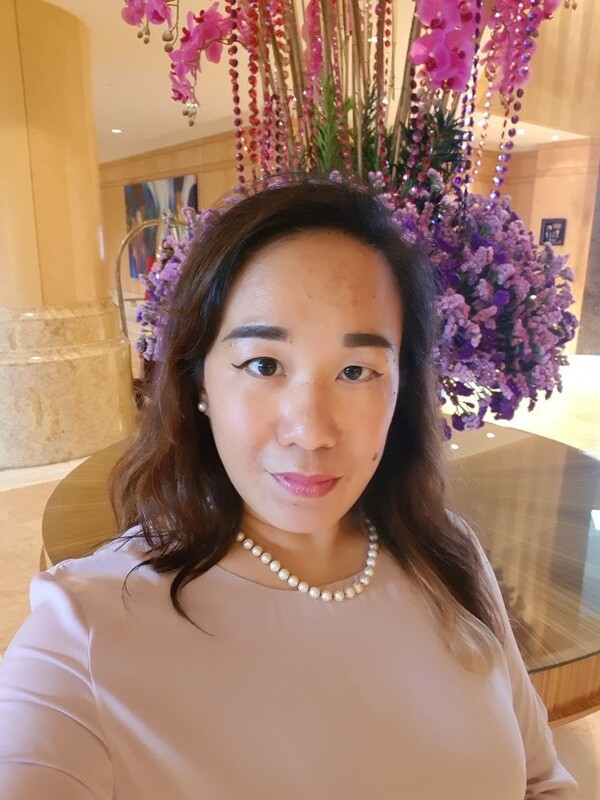 So I hopped over the the Aveda store at Pavilion to check out the products.. did you know whenever you visit an Aveda store you will be treated to a nice little cup of their specially blended tea and you can even get a relaxing shoulder massage with their Aveda Cooling Balancing Oil Concentrate.. 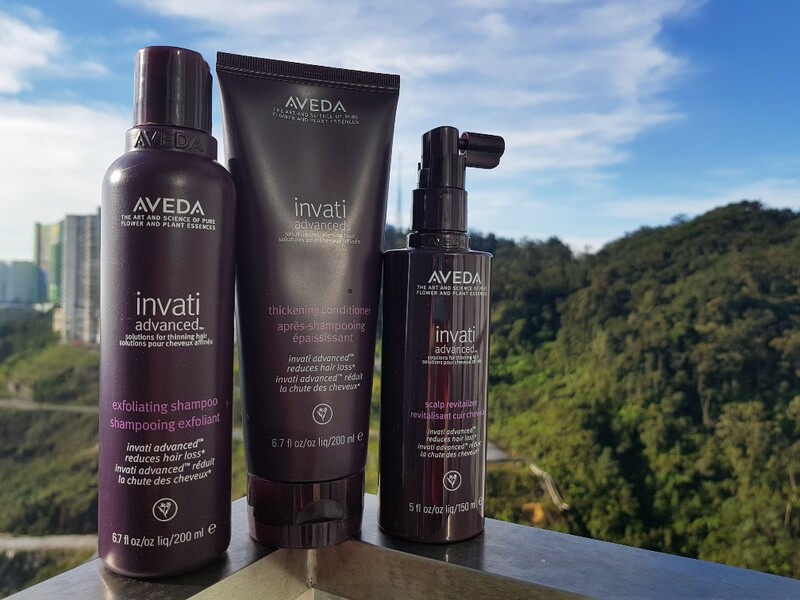 I swear it is just soooo calming, comforting and indulging..
Then I got my scalp analysed..
Aveda Invati Advanced is an advanced formula added on to the original one that promises to reduce hair loss due to breakage from brushing after 12 weeks by 53%. 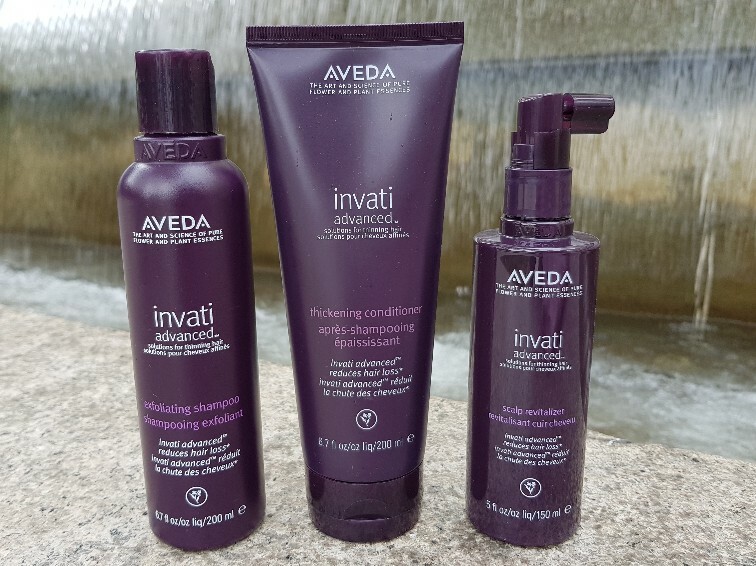 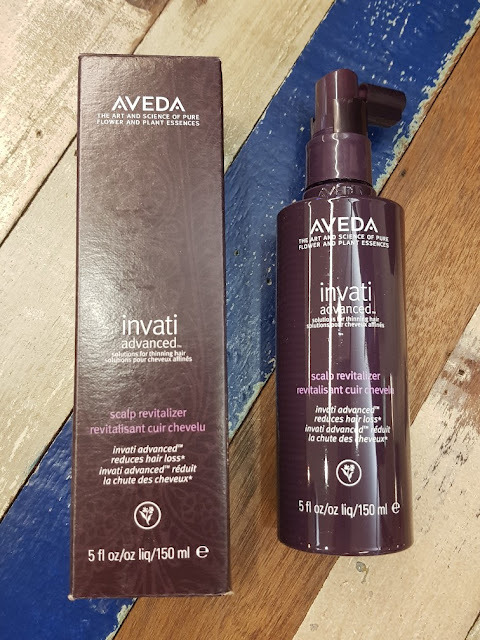 Once you have done washing, take out the Aveda Invati Advanced Thickening Conditioner which will instantly thicken your hair and delivers weightless conditioning to help it protect from breakage. 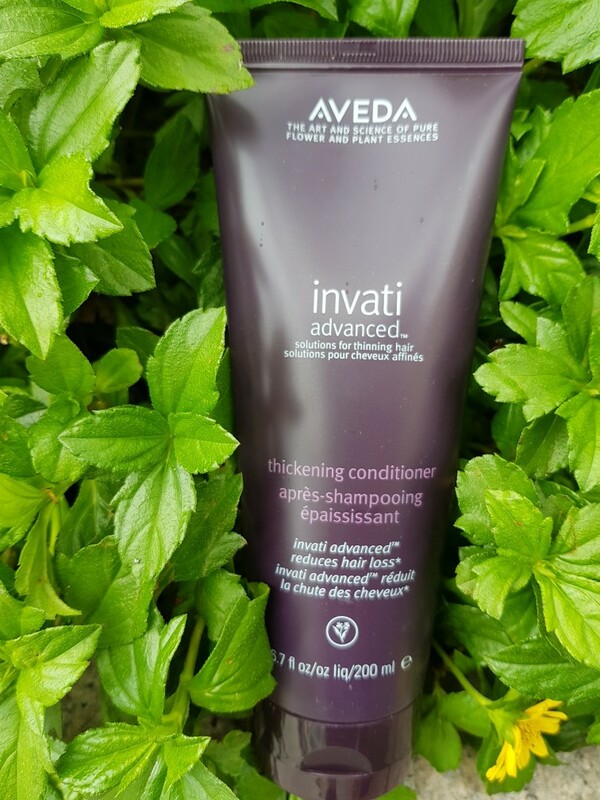 It’s recommended to apply this product on our whole hair/head including our scalp as the product can help you strengthen your hair from root to ends. Immediately after washing you’ll notice your hair feels thicker and fuller, without hanging down too much. 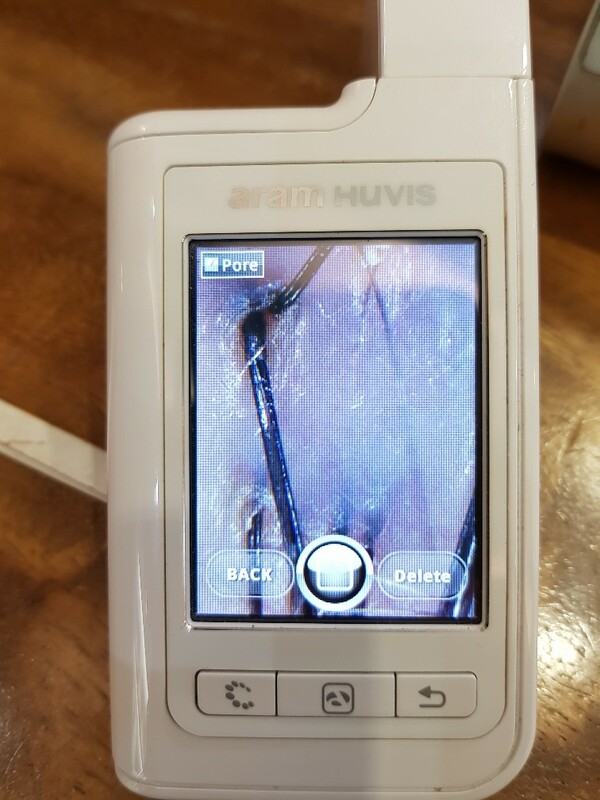 Just massage it in gently and let it do its job. 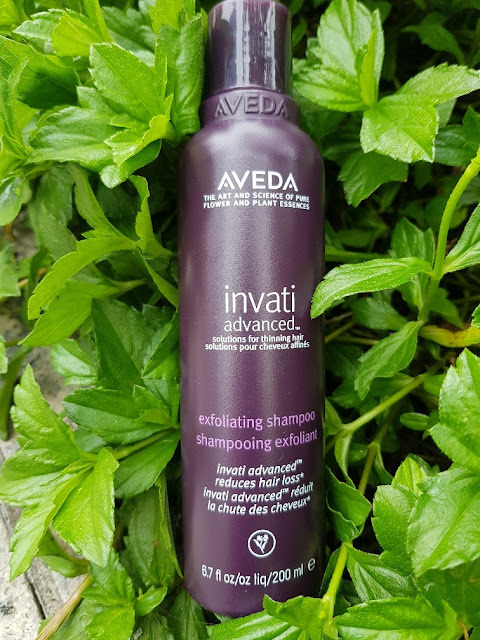 The product will get deep into the surface layers of the scalp to help enhance the natural keratin in your hair and instantly thickens the hair at the root. 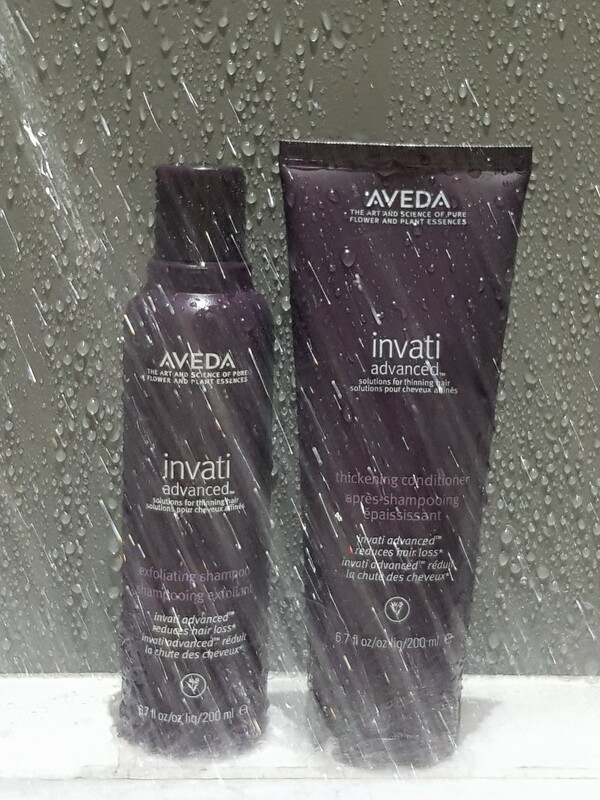 Before I started on the Aveda Invati Advanced Hair Care System...and before I chopped off my hair..